should display only the Serial no. 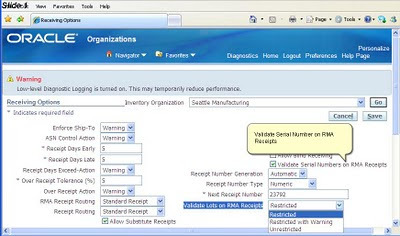 that we have shipped on the referenced?liked Sales Order Number , but to my surprise , displays all the Serial Numbers of the Item that got Shipped on different outgoing sales Order line for a particular warehouse ( in which you are doing transaction). 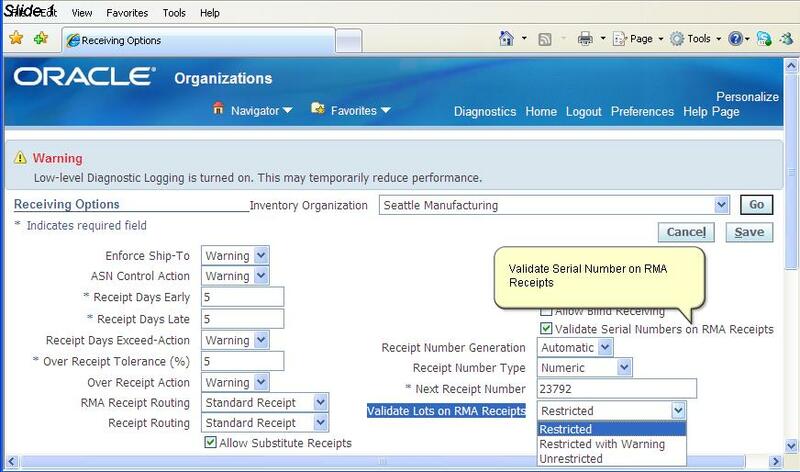 But if you set the value for this Receiving Option as CHECKED , then while doing the Receiving against an RMA then it will show you only serial numbers that got shipped on the Linked/referenced Sales Orders for that RMA. Good learning for me , may be for you too.